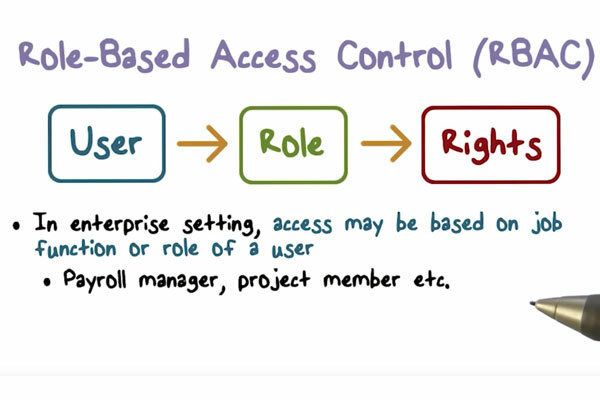 In part one of this series on integrating Role Based Access Control (RBAC), we provided a high-level overview of the necessary footwork to prepare stakeholders for the organization-wide change that comes with the territory. In this second part, we will do a deeper dive into the process of the requirements gathering that is necessary before embarking on building a catalog of roles and its structure. Other aspects to consider are best practices in managing access requests, integrating roles from various sources, and ongoing management of the Groups, Users, Roles, and Privileges. For review, RBAC is a methodical approach to provisioning based upon roles and privileges in contrast to a rule-based or discretionary approach. Roles simplify access management for employees, contractors, and external users by incorporating the business policies and rules necessary to grant appropriate access. In order to successfully integrate RBAC into your security infrastructure, it is imperative to facilitate a collaborative environment in which to gather information. These detail-oriented exercises will help you lay a solid foundation, pay dividends when defining scope and priority, and assist with gaining the essential stakeholder buy-in and approval. Based on our experience integrating RBAC, we’ve put together 9 steps and recommendations to aid in the Collection, Prioritization, and Cataloging process of an RBAC integration. Your stakeholders have skin in the game, and they stand to benefit or suffer depending on the outcomes. There cannot be enough emphasis put on how important it is that they participate in the definitions process. “That’s not the way we do it here” – contingency planning. Properly defined requirements and scope lead to a more successful project, take the time to get them right. Build consensus on the project objectives and the political issues sometimes resolve themselves. Before you begin the Collection, Prioritization, and Cataloging process, it’s imperative to first conduct a needs analysis, evaluate the current access landscape, and preparing stakeholders for the organization-wide change that comes with a role based access control integration. Click here to read Part 1: How to Successfully Introduce Role Based Access Control into a Group Environment.